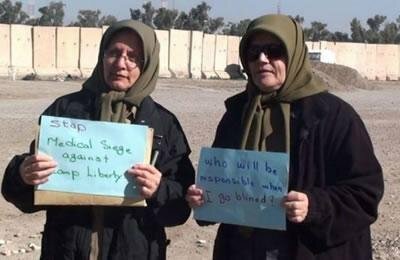 Camp Liberty residents deserve free access to medical care and the inhuman obstruction and medical siege must be stopped. 53 who have been waiting for months for eye surgery, but each time Iraqi forces have prevented their trip to Baghdad. The World Medical Association has expressed its extreme concern about “worrying health conditions” of the Iranian dissidents in Camp Liberty, Iraq, and has called on Iraqi Prime Minister Haider al-Abadi to take immediate action to ensure the camp’s residents full access to adequate health care facilities.